After a long weekend of racing (injured), I wanted nothing more than for the San Francisco Dragon Boat festival and thus my very trying dragon boat season to end. 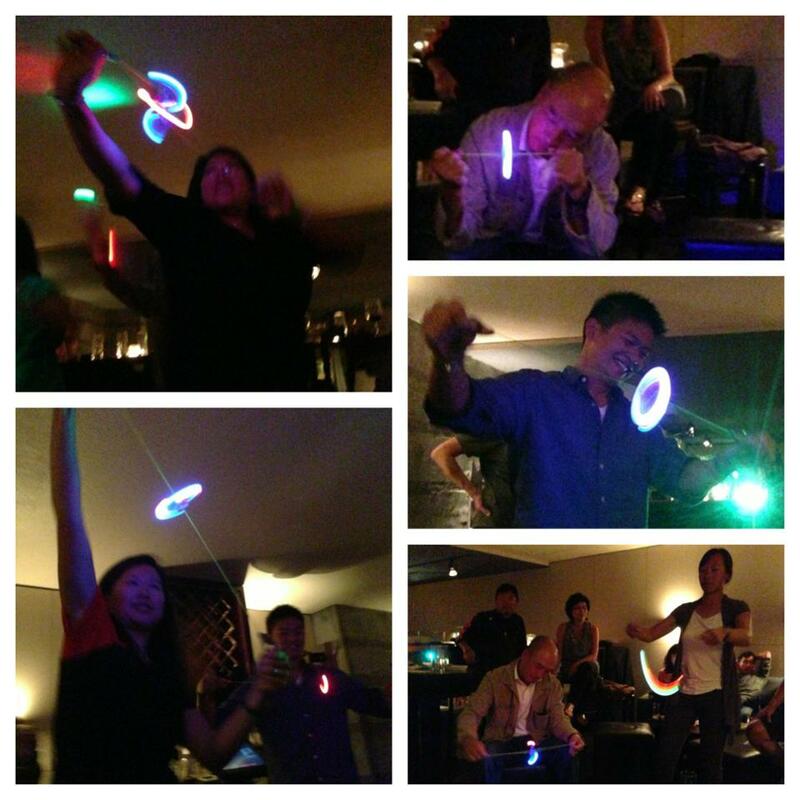 I couldn’t wait to get together with my team, have too many drinks and eat delicious food. As we crammed ourselves into cabs towards Maven, I was eagerly anticipating a wonderful night out. I’ve mentioned previously how difficult it is to arrange team dinners and that we usually have to compromise on quality in order to find a venue that will accommodate our large group. This year, I was determined to do better, (with very little effort), so I started emailing cool looking places that would feed our hungry group and serve us a good drink or two. One place that fit this criteria perfectly, (and was rated on SF Eater, my trusty source, as an Essential) was Maven and I was so lucky that their manager Selena was the first to email me back. 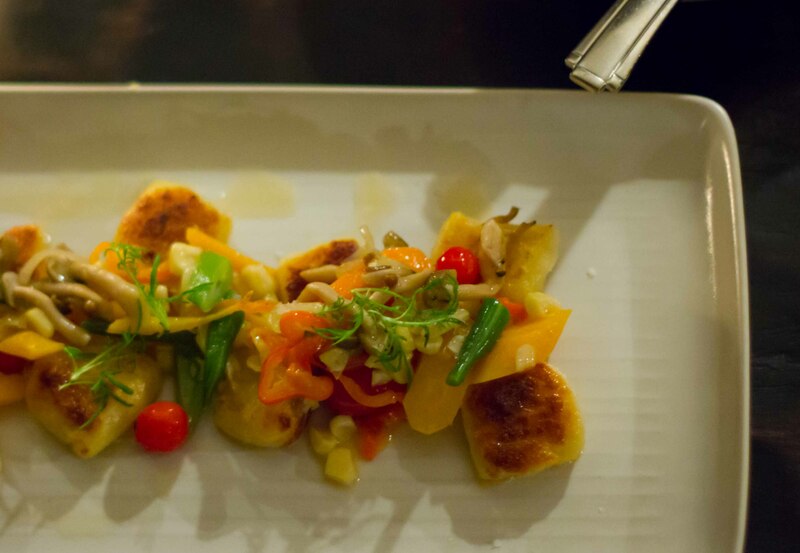 I worked with Selena to develop a menu of passable plates for our group of 24. The menu seemed well-priced and wonderful, and I was excited with the prospect of going somewhere that was serving serious cocktails. To top it off, our team was offered their upper mezzanine, as our own private space for the evening to mingle to our hearts content. Sheepishly I will admit, I turned out to be a difficult customer, making last-minute changes and even changing the time that our group would arrive just a few hours before our reservation, but through it all Selena was wonderfully accommodating. From the moment we entered Maven, we were made to feel welcome. I met Selena, and she introduced us to Andrew, who would be our drink dude for the evening. We were settling into our first drinks when the food started coming out to satisfy our hungry tummies. 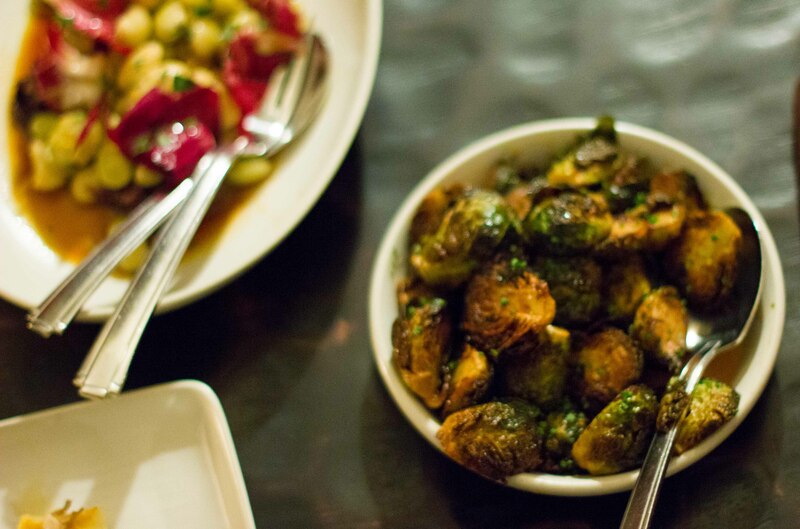 I was weary ordering the brussels sprouts with apple gastrique for the gang, but I love brussels sprouts. After the team tried these, I think they do too now! Confession time as I made some errors with this meal. I chose Maven to have an evening of wonderful food and cocktails. What I didn’t account for was my anticipated long night of drinking and my “promise” that I wouldn’t drink too much throughout the night and have to be carried home (like in previous years). So even though there were many cocktails on Maven’s list that I would have enjoyed sampling, I stopped after 2 delicious, well-balanced drinks, in fear of over-consuming and over-mixing of spirits. Instead, I switched over to glasses of Cava which felt celebratory, but also harder to sling back. I did have a sip here and there of other people’s cocktails and everything I tasted made me feel like this was the best sampling of cocktails I’ve had in San Francisco. My worst mistake of the evening was that I let socializing get the best of me and I stopped taking photos of the food coming out. We had brisket sandwiches, spoons of tuna tartare and fries that satiated our hunger. I enjoyed all the bites, but the most memorable for all were the Chinatown Duck Sliders. Thankfully my teammate Michelle sent me this photo of the sliders that I didn’t get. 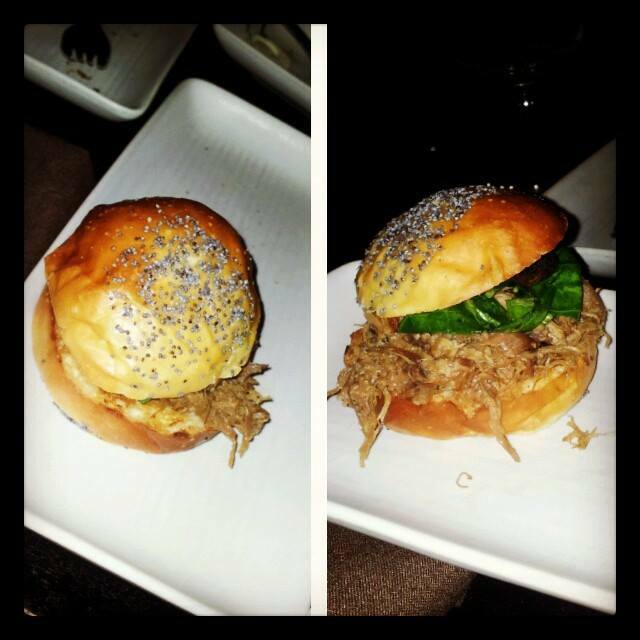 Chinatown Duck Sliders = YUM! Being in the upper mezzanine at Maven meant that we could be as goofy as possible. We tortured our newbie paddlers and made them give speeches one after another about how amazing our team was to be a part of. And towards the end of our evening, we were treated by an impromptu Light Show. Throughout all of our crazy dorkiness, the staff at Maven were patient and courteous. I am a sucker for great service and swoon when service goes the distance to make me feel special and we were treated to above and beyond at Maven. Towards the end of the night, I asked Andrew where I could get some lozenges (apparently I was suffering from too much loud talking throughout the weekend). He directed me next door, where I not only found lozenges, but my favourite Haribo candies, that you can’t get in Canada. When I returned to the restaurant, Andrew noticed the candies I scored and we spoke enthusiastically about them. Apparently, the staff at Maven are also in love with Haribo and if you go to the bar at Maven they always have a stash of them hidden behind the bar. I put this smidgen of knowledge in my back pocket to be used at a later date, as I knew I’d make it a priority to go back to Maven on my next visit to SFO. As we were leaving the restaurant, Andrew & Selena gave me a bag with a gift wrapped in newspaper. I was in the midst of a thousand conversations and although I didn’t pay it much attention, was very touched by their gesture. I didn’t open the gift until I got back to the hotel and when I did, I was surprised to find the coolest gift ever! 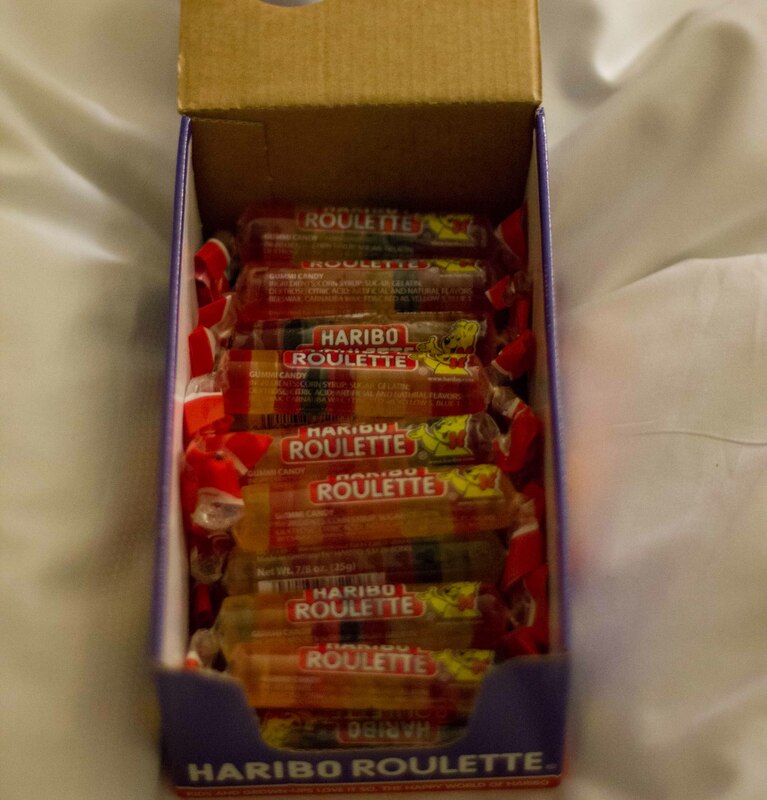 My very own giant box of Haribo candies to savour to my heart’s content! I’m glad Maven accommodated our big group for dinner and that we were able to have such a great evening there. 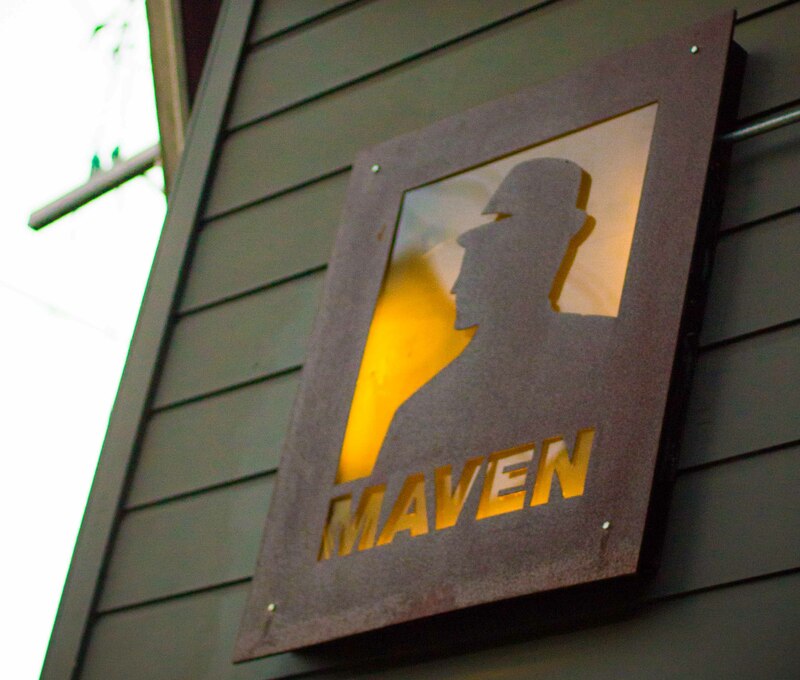 I have put Maven high on my list for places to return, to have a night at their bar sipping wonderful concoctions the next time I’m in San Francisco. I just hope I don’t have to wait until next September to go back. Thanks to Michelle, Vince and Jade for the photos that I “stole” from you!